The other day I was in the midst of creating my Google Slide Interactive Notebook when I realized my “Goof Up!” Quickly I clicked on the revision history and realized if I restored the one slide all the work I did after the mistake would be lost. Sitting there frustrated and puzzled I figured out a work-around which saved the day! You will be amazed to discover how easy this is to do! I see this as a lifesaver for times when students are doing group projects. This method of restoring one slide comes in handy because it maintains the integrity of the slide deck. It allows the user to restore just one slide from the past without changing any slides in the deck created after this point. The single slide restoration can be a lifesaver when students are collaborating creating a group project using Google Slides. Sometimes when a student uses a manipulative they may need a tool to help them isolate the answer from an assortment of items, words, or numbers. Not everyone is able to look at a busy page and filter out all the noise. A transparent tool which can move around the board helps a student to find and isolate the answer. A Google Drawing transparent looking glass, viewer or slider are convenient tools for isolating information. The following presentation is a tutorial of how an easy way for students to create an individual copy (non-collaborative) of a file to their Google drive. The idea of a review game was inspired after seeing a printable game board for studying math facts. Immediately the idea popped into my head for using a Google Slide as an interactive game board. I wanted the interactive game board to be more than just another rote memorization task. This can be challenging if the students aren’t experienced with using Google Slides. I decided to create a basic game board template for the students to edit. 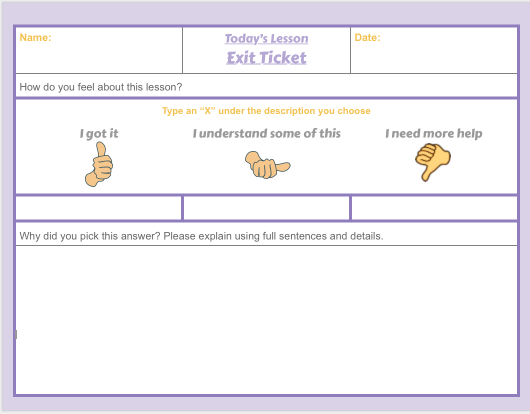 This idea snowballed into a combined interactive tutorial & game template. While creating the Google Slide Interactive Activity I created a list of OBJECTIVES. I wanted the review game to be more than just another way of integrating technology.